With Easter weekend just a few days away, now is the time to get crafty and adorn your house with homemade decorations. 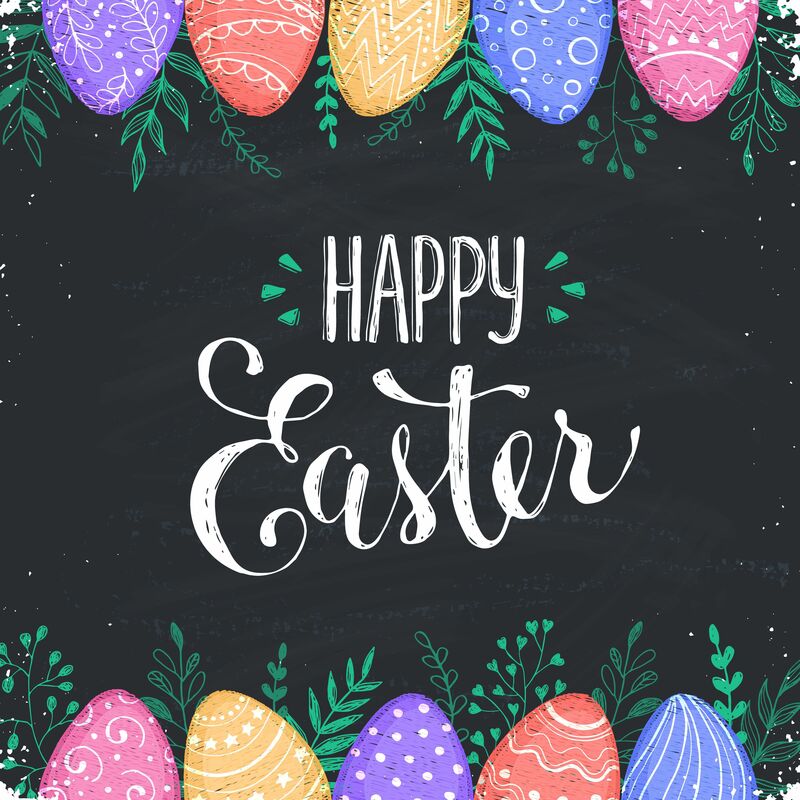 We may not make as much of a fuss of Easter as we do Christmas, but it’s a lovely opportunity to bring family and friends together for a weekend of fun. If you’re the host this weekend and haven’t even thought about decorations, then look no further; these ideas are simple, stylish and shouldn’t do too much damage to your wallet. It’s so easy to make your own bunting. Cut shapes out of card and glue them onto a long piece of string, measuring the gaps in between each shape so they’re evenly spaced. You can go for a classic triangle shape, or make it Easter themed with different shapes such as eggs, bunnies and lambs. Try using cookie cutters as outlines for your shapes to get a neat shape. To make crafting your own bunting as easy as possible, use materials that are already patterned or colourful. Old books, colour charts and magazines work well, or you can glue pretty napkins onto plain card. Hang your bunting above the fireplace, across a window or on a plain wall to make a statement. 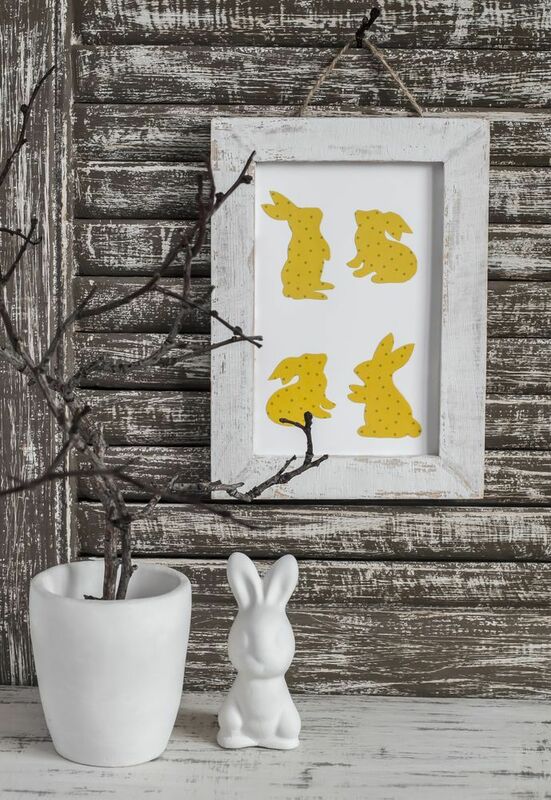 Replace a few of your framed photographs with Easter pictures. Simply cut out an Easter shape out of patterned card using the outline of a cookie cutter as a guide, and glue onto paper. If you do this to a few photographs within a collection, it will make more of an impact. At Christmas, it’s all about the tree, and at Easter, everyone loves a decorated willow branch. Transforming eggs into baubles for the willow branch can be time-consuming, so try using a hot glue gun to stick on flowers, chocolate eggs or butterfly shapes cut out of card. If you’re hosting an Easter lunch or dinner party, it’s worth paying attention to your table. Cut the top off eggs and drain the contents into a bowl. Give the shell a gentle wash and place them upside down in egg cups. You can then paint your guests’ initials on each of the eggs (one person per egg) and arrange them as place names for the table. 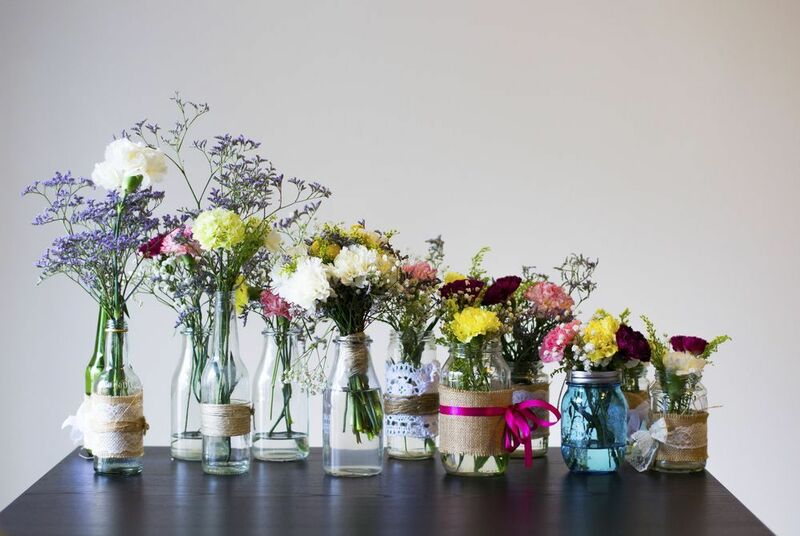 If you have lots of jars or glass bottles, fill them with seasonal flowers, wrap ribbon or lace around the base and line them down the middle of the table. For a simple fun decoration, cut bunny ears out of card and strategically stick them using blue tack onto framed photographs of the family so they sit on top of all your heads. It will bring a humorous touch to your weekend and instantly make your guests smile. Make the most of what’s in your house and be inventive! You can cover your fridge in cardboard cut-outs or draw pictures on a blackboard. If you’ve got an egg basket, decorate a couple of the eggs with ribbon or lace. Re-fill a glass vase with chocolate eggs, or if you’re lucky enough to have blossom on a tree outside, cut off some branches to put in a vase.